Where else can you enjoy exceptional music while simultaneously learning practical steps toward developing your leadership skills? 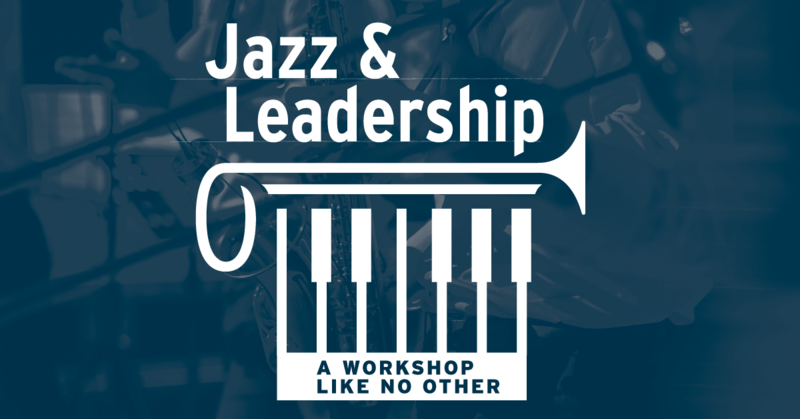 Strengthen your leadership capacity by participating in this distinctive evening of learning which will feature live music from a jazz quartet, and instruction by distinguished experts in the areas of leadership, management, organizational change, and negotiations. You will enjoy learning in this interactive and unique experiential learning environment. Jay A. Hewlin is an attorney and consultant specializing in managerial effectiveness, leadership and employment law. Jay is a lecturer at McGill’s Desautels Faculty of Management and McGill’s School of Continuing Studies, where he teaches Negotiations and Conflict Management. In addition to his legal experience, Jay is a seasoned manager and entrepreneur, having worked as an executive in private industry and managed his own corporation in New York. He has extensive experience in negotiating and drafting contracts. He has published in The Corporate Counsellor, Columbia Law Review and Ovation Magazine and authored a book titled: The First Fifteen Minutes (For Those Dating With Marriage in Mind). Jay also has an extensive background in performance and production. He is a professional trumpeter, songwriter, and singer; having performed as a soloist in major concert events in the U.S. and Europe. He has also had several opportunities to perform live on television. As a producer at radio station WQXR, 96.3 FM (New York), he produced numerous radio commercials, live radio broadcasts, and concert events featuring leading artists in the classical and jazz musical genres. Jay has won many international and national awards for excellence in broadcasting. Mr. Hewlin is the recipient of 2013 Desautels Faculty of Management Distinguished Teaching Award. Robert E. Saggers is a management consultant who since 1989 has headed up his own consulting practice in organizational learning and leadership development. Over this period of time he has assisted a wide variety of clients: to assess their organizational capability; to design and facilitate leadership and management competency development programs; and to coach their managers and in-house facilitators to lead change and team building efforts. Previously he worked in both operational and corporate human resource management roles within the manufacturing and financial sectors, and subsequently was a Principal with a major international consultancy. He has been associated with McGill University for over the last twenty-five years as a graduate studies instructor, first teaching human resource management (1988-1994). He then helped McGill's School of Continuing Studies to develop a graduate diploma and certificate leadership program in which he continues to teach courses in leadership skills development. He also collaborates with the University on research initiatives and on a joint venture basis to develop/deliver corporate training programs. A life-long learner, he received his Master’s in Education in 2001 and completed his doctorate in instructional psychology and adult education in 2009, with a thesis investigating the relationship between teaching, learning, leading and managing. His ongoing research interests include managerial teaching and leadership development within educational, professional and corporate settings. Apart from his professional and academic pursuits, Bob plays an active role in community-based organizations. A former President of the Quebec Provincial Council of Scouts Canada, he just completed a 3-year term as Deputy Commissioner responsible for leader training in Quebec and was part of the national network for volunteer leadership development. 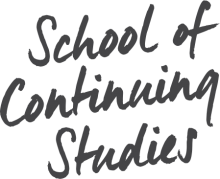 Ms. Sapene holds a master's degree in Human Systems Interventions from Concordia University and a Corporate Social Responsibility certificate from Toronto University. She is currently pursuing an APMG International Change Management Facilitator certificate. As the People Change Management Director of Product Development Engineering at Bombardier, Merling leads teams at the forefront of innovation in international, multicultural and complex business transformation projects, including local and global social high-impact projects such as Passion For Flight. With over 25 years’ experience in major business transformations, she specializes in strategic analysis, organization effectiveness, redesign and automatization (people, process and technology integration), performance management, and change enablement. Merling participates on the human resources committee at Aeromontreal, and is a board member for iScola, the Montreal Board of Trade, and the Project Management Institute. She has served as a public speaker for IT Chapter, the Project Management Institute, McGill, ProjectWorld, Prosci, Change Management Global Conference (Orlando, Las Vegas) and has published several white papers and case studies.